Shaikha Ahmad Ali Mohammed Huraiz, an Emirati with special learning needs, joined THE One Mall of the Emirates team on January 21, 2007. Shaikha, who was recommended to us when we contacted the Ministry of Labour’s Special Needs Centre, loved THE One so much after a week’s trial that she decided to join us on a part-time basis. 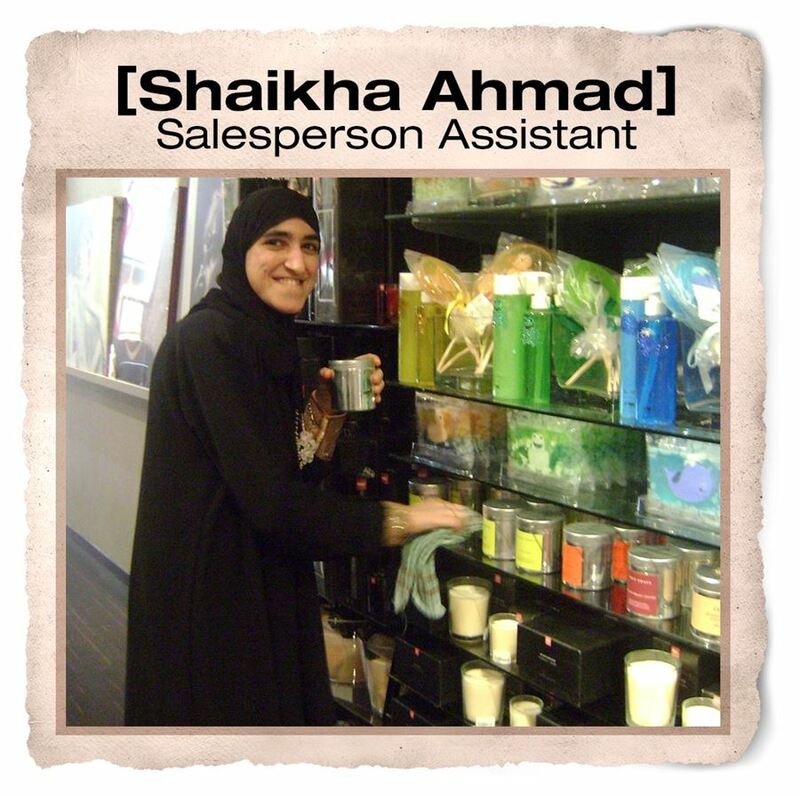 Shaikha works as a part-time Salesperson’s Assistant in our Theatre for six hours a day, five days a week, helping with stock replenishment and the tidying of displays. In her spare time she likes to draw and paint and is also a keen sportswoman. Shaikha has represented the Dubai Club for Special Sports in Tunisia, where she won a silver medal for running at the Special Sports Championships. Shaikha is enjoying her acceptance within THE One tribe and hopes to someday help teach special needs children, in order to share her success story with them. Copyright © 2019 THE One Kuwait. All rights reserved.